What Makes Jessica Jimenez Uniquely Qualified To Represent You? Ms. Jimenez who is of counsel to Lasser Law Group represents a wide variety of individuals and business enterprises throughout New York, Europe and Latin America. From first-time home buyers and entrepreneurs to international investors and family-owned businesses, Jessica guides her clients through their legal matters with ease and confidence. Jessica’s international experience and multi-cultural background allow her to transcend boundaries while representing a diverse array of clients. Jessica has studied, lived or spent extensive time in Colombia, Italy and Spain. She is fluent in Spanish and proficient in Italian. Having grown up in Westchester County and having lived in places like Miami, Florida, Barcelona, Spain and Bologna, Italy, Jessica has been exposed to a microcosm of the globe and Latin America, in particular. It is this background that enables Jessica to readily identify with her clients and separates her from many other legal professionals in the area. 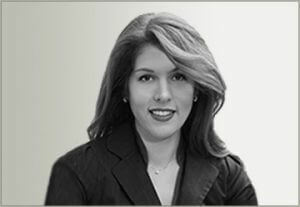 Ms. Jimenez has a spent over a decade practicing commercial law in New York City. Jessica regularly advises clients in an outside general counsel role on matters including corporate formation and governance, contracts, securities, commercial lending, real estate, intellectual property, employment, litigation, immigration and alternative dispute resolution. Outside of the practice of law, Jessica spends her time with her three children, serves as a trustee of the Amber Charter School in East Harlem and she is actively involved with the Westchester Hispanic Coalition. State of New York, 2005. Hofstra University School of Law, J.D., 2004. University of Pennsylvania, B.A., 1999. Home » Jessica Jimenez, Esq.